Chicago is a great city for planning a party—it may even be the best city in the world—as it has high energy and excellent dining and venue options throughout each neighborhood. There are so many spaces to choose from that will bring your vision to life. Party planning can be stressful if you wait until the last minute, so it’s smart to get a head start and begin your search early. You’ll have better access to desirable venues, dates, and times, and you’ll be able to really think about what you’re looking for, without feeling a time crunch. Here are a few tips for planning a party in Chicago. Find a venue that works well with your theme, guest list, and purpose. If you’re hosting a charity event or a corporate affair, you might want something elegant and chic, whereas if you’re planning a birthday bash, you might want to a go a more casual route. For holiday season, a sophisticated, modern restaurant or private room could be perfect for housing guests and creating a tasteful ambience. Once that’s set, discuss dates and times early to secure an opening. Getting the logistics done ahead of time will make the process smoother. No party in Chicago is complete without great food and drinks, especially since Chicago is a mecca for delicious eats, vast wine selections, and craft cocktails. Discuss dining and beverage options with your venue—you’ll likely be able to serve buffet style, family style, or reception style, with passed apps and desserts by selection. For drink and beverage, it’s nice to go with an open bar for guests, so keep budget in mind when planning your drink selection and head count. If you’re planning a sit-down meal, alert the Chef of any allergies or dietary restrictions of guests ahead to time so the kitchen can be prepared and accommodate everyone swimmingly. The good news is, Chicago is known for its high-end Chefs and culinary programs, so it shouldn’t be a problem to meet the host’s needs. If you’re choosing passed appetizers, be sure to include a nice range—some meat, cheese, fish, meatless options for those who are vegan and vegetarian, as well as some gluten-free items. Keep communication strong with your guests before and after the event, especially in a busy city like Chicago where people are constantly on the move and have several obligations marked on their calendars. You’ll want to send our invites early on to increase your attendance rate, but you’ll also want to follow up post-party with Thank You notes of appreciation and other information regarding future festivities that might be appealing to them. For instance, if you’re throwing a charity party or work function, you’ll want to keep people in the loop for upcoming opportunities to get together or give back to the cause. If it’s a holiday party or social gathering, you’ll still want those invited to feel appreciated for their efforts. 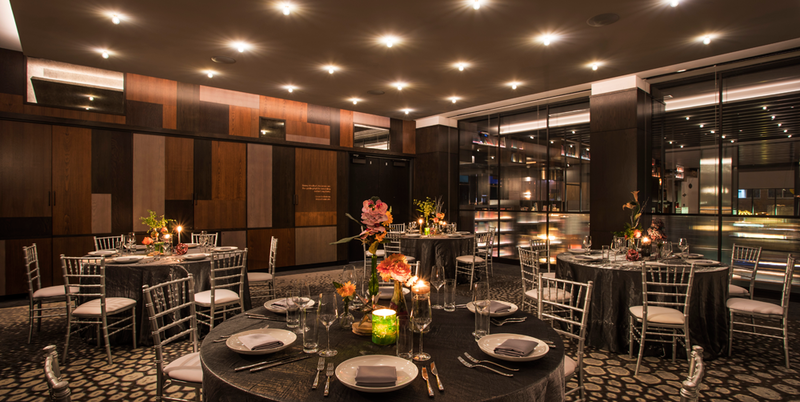 Ready to start planning a party in Chicago? Contact us to for an experience exactly like nothing else.